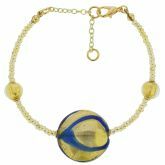 Artistic and unique, exquisite and classic, this beautiful Venetian necklace showcases the richness and magic of Murano Glass Art. 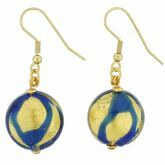 The unique design born in the fire of Murano Glass furnaces features handcrafted Murano bead where waves of richly colored glass flow above 24K gold leaf and create sparkly reflections when they capture the light. 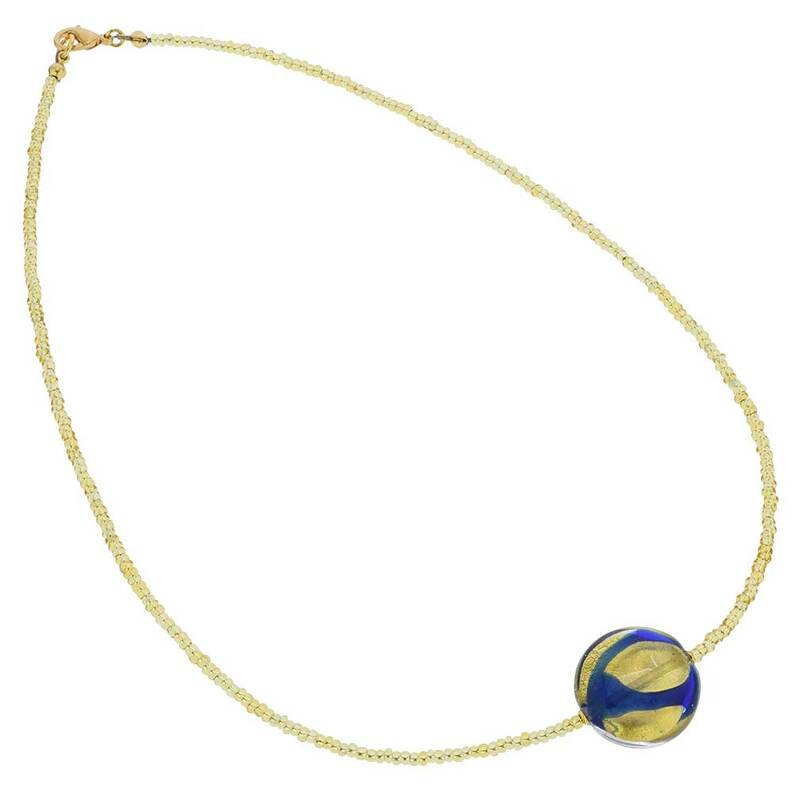 What's more, even the tiny seed beads that make up this necklace are entirely handcrafted by Venetian glassmakers using 24K gold leaf, setting this necklace apart from competitors' products. 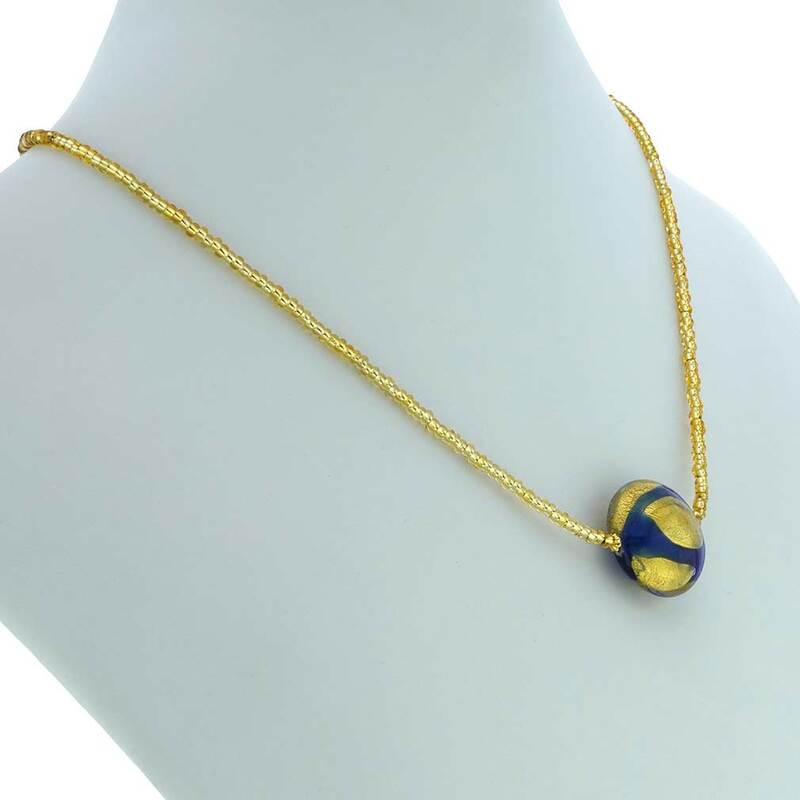 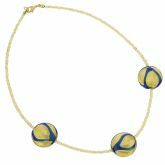 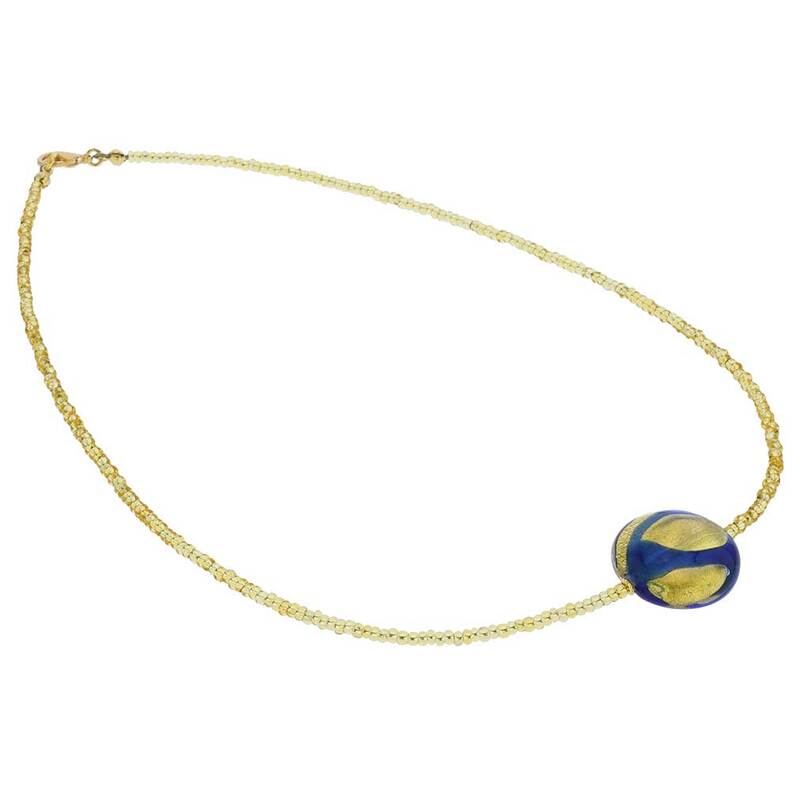 This versatile Murano necklace can be worn with casual clothes or an evening dress and makes a perfect Venetian addition to any jewelry collection. 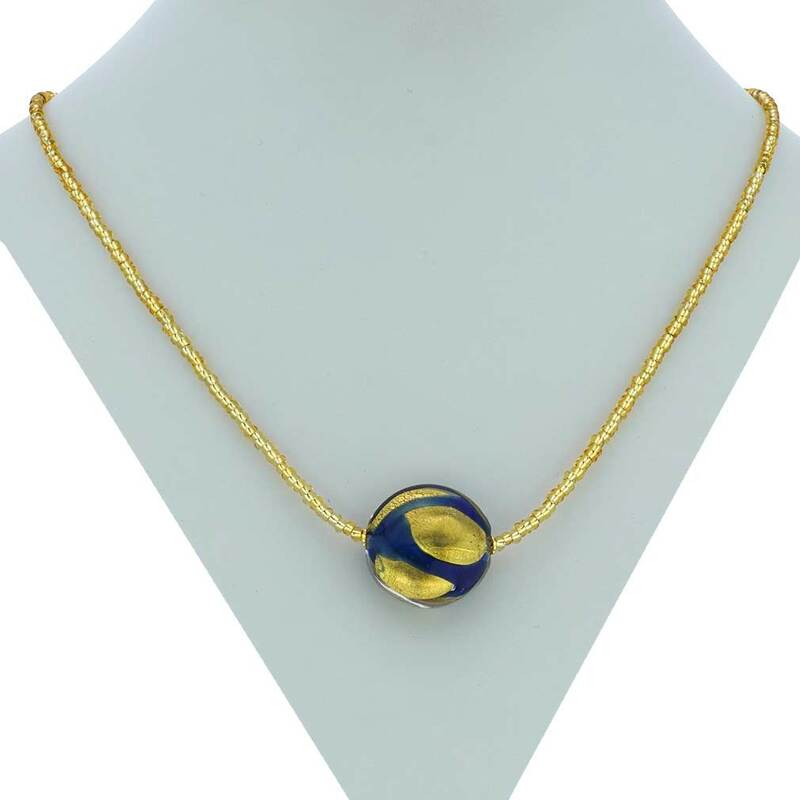 The necklace is approximately 18 inches long and the saucer-shaped bead measures just under 1 inch in diameter. 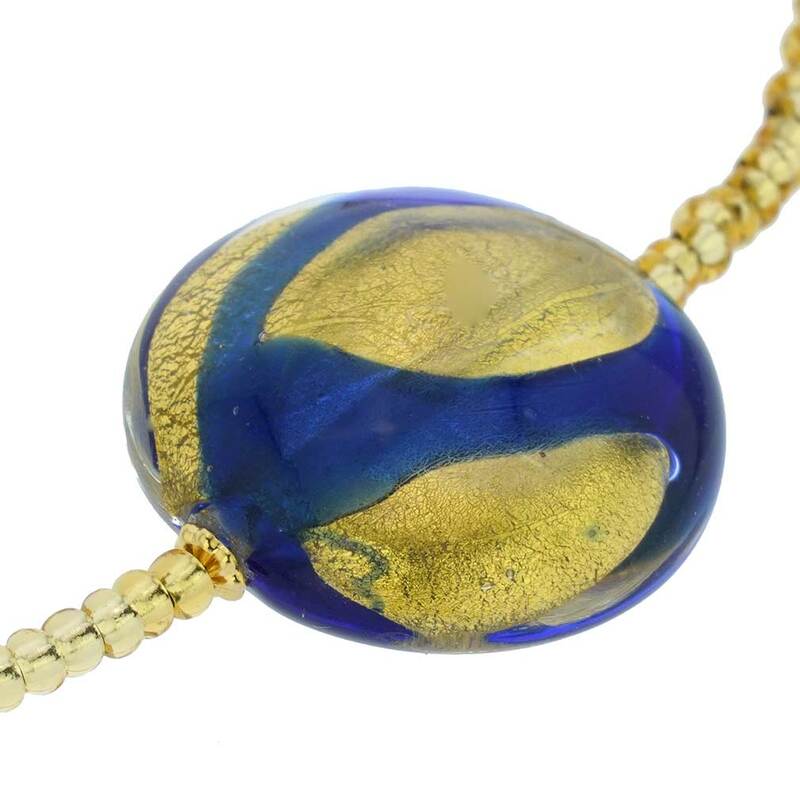 It comes with an attractive velvet pouch and a certificate of authenticity.